Moving on a few days, we know have full images of the shoes and the details to go along with them. Hailing from the north east of Scotland and born and raised in the Speyside region of the country hanon pays tribute to its roots by drawing inspiration from an area world famous for single malt Scotch whisky. Executed in a rich malted barley colour way, hanon have reworked the OWEN in a premium blend of silky pig and rugged tonal suede overlays which are offset by a nod to Scottish heritage in the form of a full tartan print collar lining, footbed and tongue backer. As always, hanon's attention to detail is second to none and appears throughout the shoe by way of some old school touches; There is a two way lace system, which pays homage to 90's skate shoes with either fixed lace loops or punched eyelets offering a 2nd option to the original silhouette, whilst a sunburst perforation features on the vamp and a full punched perf is applied to the tongue. It wouldn't be a hanon collab without the traditions branding, and we see dual branding, which completes the 'Special Reserve' theme via a gold leaf deboss logo sign-off which is detailed throughout the upper. The fire emblem features on the tongue suede patches whilst the Supra Crown and fire appear on opposing heels, lace aglets and footbeds. Each pair will comes with a custom built plush velvet dust bag, dual branded rubber hang tag and three old school cotton lace sets. 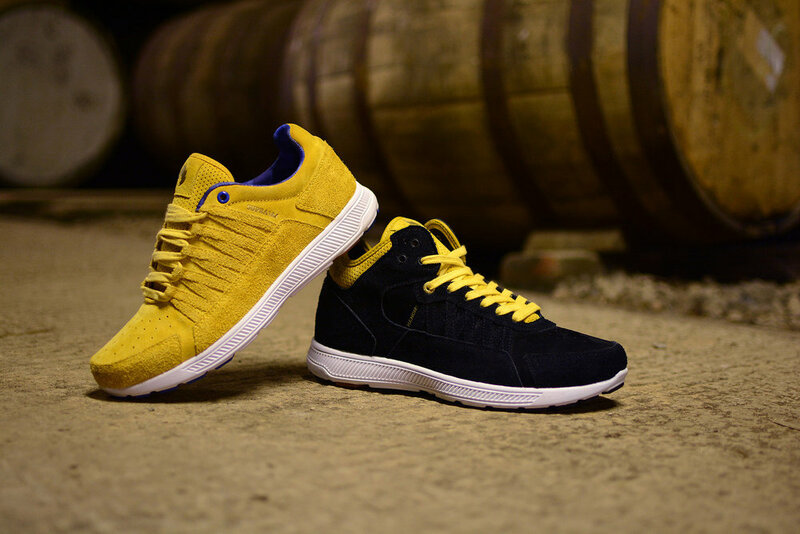 The Owen “Whisky Gold” will be released instore on Saturday July 26th at 10am, with an online release following at 2pm. On top of this, a special “Angels Share” edition of the Owen Mid will also be available in a limited run of 50 pairs.